Through my commitment to learning what it takes to develop a healthy relationship with food, and teach others the skills it takes to end the cycle of binge eating, I have truly embraced mindful eating as an important part of this journey. Mindful eating is not as much about the food on your plate, as it is about the environment you are eating in and the company you are keeping. The goal is to fully enjoy your meals and feel truly satisfied, to help avoid unnecessary food cravings. Eating while driving, eating while working, eating while watching TV– distracted eating has become the norm. Even if you’re sitting at a table with family, if you’re focused on playing a game on your phone, it’s as if you’re eating alone. When you’re eating mindfully, you’re aware of the food you’re eating– enjoying every bite. You’re aware of your company and of your surroundings. You’re also more aware of your own inner body cues telling you when you’ve had enough. Here are 5 tips to create a more mindful eating experience so that you can tune into your inner body cues and genuinely enjoy your food. 1. Choose a place to enjoy your meal away from distraction. Eat in the dining room or out on the patio– away from the television, computer, or the couch. Pick a place where eating and conversation, if you are with others, are the only things you have to focus on. Write down how you are feeling and where you are when you eat a meal. This will help you be more aware of times where you are eating out of boredom, because you are stressed, or when you're not truly hungry. I always enjoy my meal more when it looks nice on my plate. 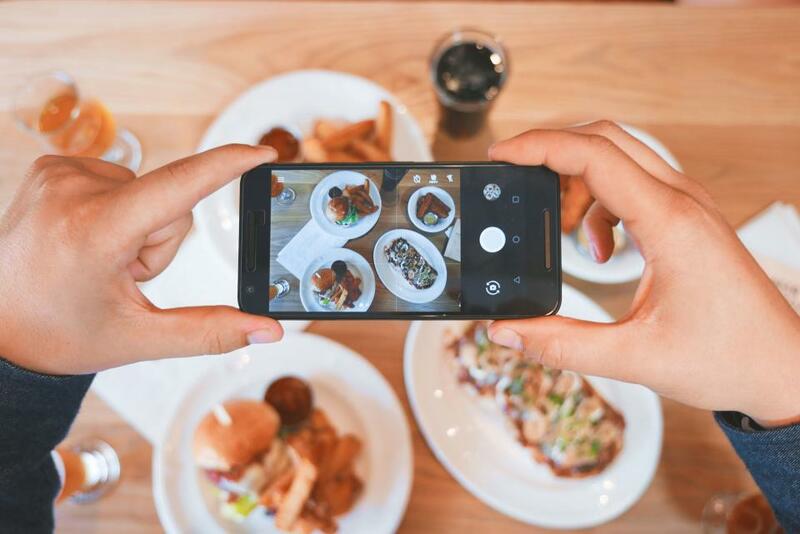 Take some time to arrange your food as if you were going to take a picture to blog or instagram to the world. Adding this extra care and mindfulness into your food preparation is a form of self-care: you deserve to eat beautiful, healthy food. One of two things may happen, you will feel silly and enjoy it anyway, or maybe you really will take a picture to share with your friends. Either way, you will be enjoying your food more. When you eat slowly, your inner body cues come through more clearly. Slow down and make sure to chew your food. The number one problem with distracted eating is that you tend to eat too quickly.